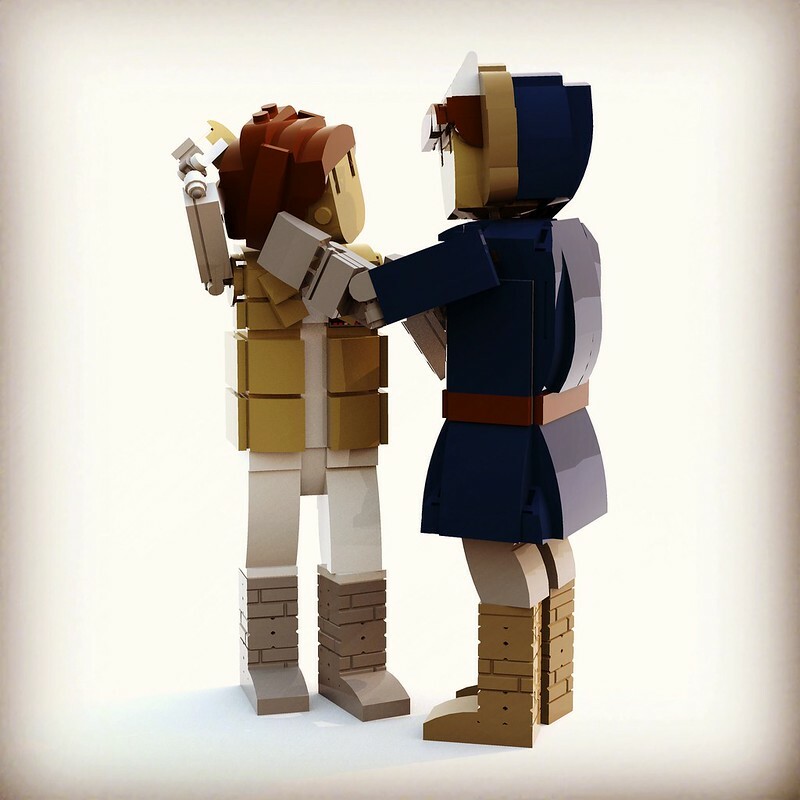 Brickbuilt models of Leia and Han Solo from Empire Strike Back Hoth planet. Their heads, shoulders, elbows and Han's wrists pivot so as to create myriad of poses when displaying them on your desk or shelf. Leia consists of 240 parts and Han consists of 314 parts. Below is one of many possible poses.